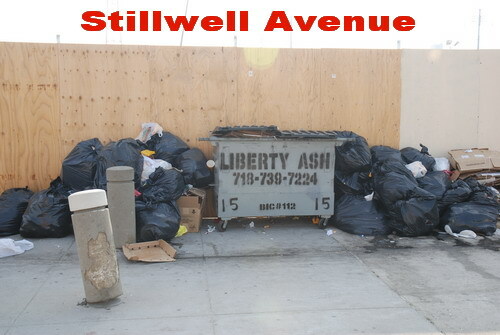 The busy Memorial Day weekend found good news, and bad, on the trash and developer blight front in Coney Island. 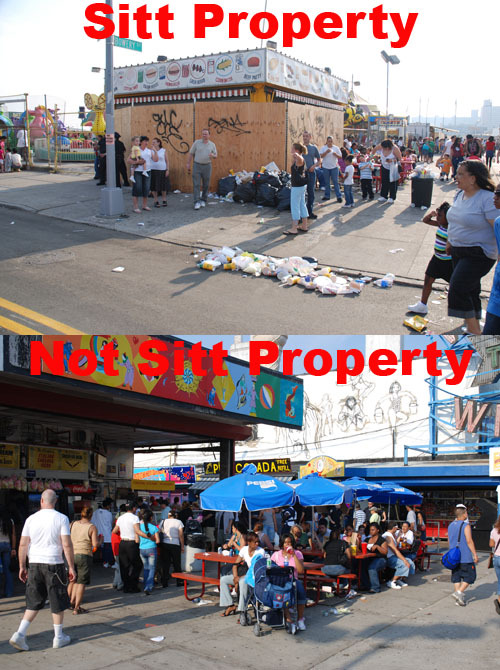 First, the good news: It appears the city has learned how to pick up trash on the Coney Island boardwalk. Overflowing trash cans were not in evidence yesterday and the boardwalk was not particularly strewn with garbage. Trash cans were actually emptied into trash bags, although we didn't see who was doing it. Now, the bad news: The property owned by Thor Equities, and surrounded by that huge plywood fence erected by developer Joe Sitt was, to put it politely, a little rough around the edges. Hopefully, some positive change is coming by the end of June in the form of a circus and a water slide. In the meantime, perhaps Thor could hire someone to maintain its big fence and clean up? Testing for Toxics Under Gowanus Playground?